May 10, 2016 May 10, 2016 Lisa A. My childhood friend and fellow blogger, Ryan Loera and his band Revolt have some shows coming up in El Paso. Revolt has been played on local radio. Ryan has been interviewed and featured on Life of an El Paso Woman a few times. If you’re in El Paso, please show them your support! Check out/follow Ryan’s blog. 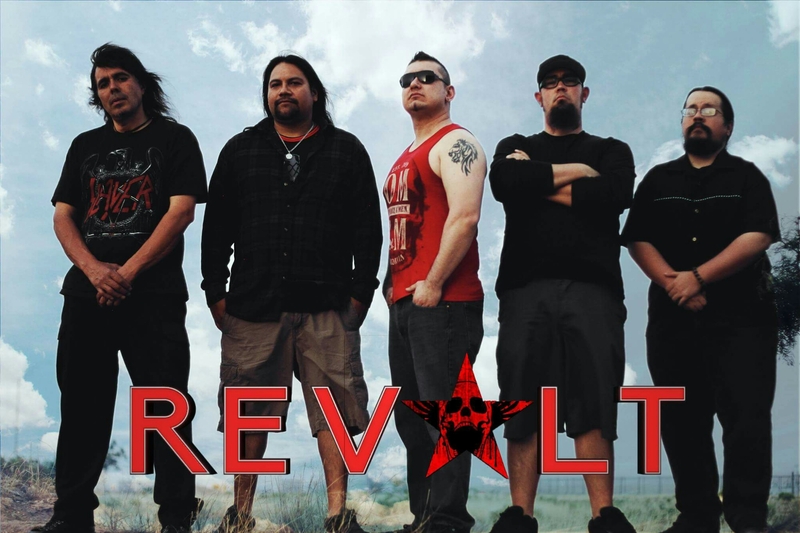 My band’s, REVOLT, first show is June 17th at King’s X in El Paso, Texas! With special guest Kilter from Odessa, TX. If you happen to live in the El Paso, TX area please stop by and listen to our brand of hard rock / heavy metal music. We’ll have t-shirts and other merch for sale. We also have some cool surprises planned. June 17th at King’s X in El Paso, Texas! Hello everyone! My name is Lisa Amaya. I'm a 30 some year old mom to one son. My blog is about my life, entertainment, current events, people and events in my hometown, El Paso, Texas, etc. My blog will also feature pieces about Ciudad Juarez, Mexico and surrounding areas in New Mexico. I also hope to include more travel blog posts. Guest bloggers will also contribute from time to time! I've been a writer since I was 6 years old. I graduated from New Mexico State University with a degree in journalism. I've written for various newspapers and magazines. I plan on focusing more of my time on blogging and freelance writing. I took a five-year break from writing but I'm back at it! Thank you for stopping by and welcome! View all posts by Lisa A. ©Life of an El Paso Woman , 2015, 2016,2017, 2018, 2019. Unauthorized use and/or duplication of this material without express and written permission from this site’s author and/or owner is strictly prohibited. Excerpts and links may be used, provided that full and clear credit is given to Life of an El Paso Woman with appropriate and specific direction to the original content.